V ictoria Imperiale is a luxury real estate agent on the rise. With her keen attention to detail and outstanding customer service, Victoria’s broad skill set makes her a perfect match for potential clients in the premium segment. Born in Staten Island and raised in the Garden State, Victoria is the consummate professional who understands the needs of this dual market. “Every day is a new opportunity to make a genuine difference” she states. Victoria isn't just selling homes, she is providing her clients with access to a lifestyle that is characterized by rich culture, pristine beaches, excellent school districts and an unparalleled quality of life. Victoria, a graduate of St. John's University, gained valuable experience with the nationally known, upscale real estate office, Corcoran Group . As well, she honed her marketing and tech-savvy skills by directing the client care division at the prestigious Trump National County Club in the sought-after community of Colts Neck, New Jersey. While having both a successful career in the business world and participating in her own holdings in several companies, Victoria has decided to fulfill her dreams and actively pursue a career in the world of upscale real estate. 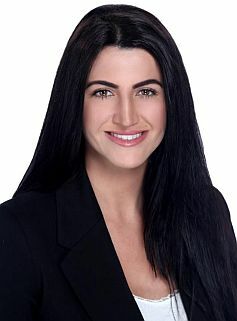 From finding a dream home for a buyer to helping a seller achieve their goals in record time, Victoria, the energetic problem solver, goes above and beyond by tailoring her services to each customer's individual needs; thus creating a dedicated client base who trust, not only her but her entire team to guide them through a smooth transaction every time. Understanding the real estate market is just one of the many reasons Victoria excels in client satisfaction. Victoria is dedicated to assisting her clients in all facets of the process, creating a level of comfort necessary when handling various elements of real estate from the initial offer straight to the closing table. Away from the office, Victoria enjoys participating in philanthropic endeavors, traveling, learning about new cultures and expanding her knowledge of market and design trends in various regions. She is often considered by friends as the "Go To" for all things luxury! From Hampton getaways to exploring fashion savvy cities, Victoria's background, education and experience make her a perfect addition to the Lifestyle Group Team. She brings with her the often intangible factor for success.... Passion!